Cardfight Pro: Episode Guide: Asia Circuit, Ride 67: Activate! Limit Break! Episode Guide: Asia Circuit, Ride 67: Activate! Limit Break! The fight opens on Kai's turn, riding from Lizard Soldier, Sisin (6000) to Red River Dragoon (8000). 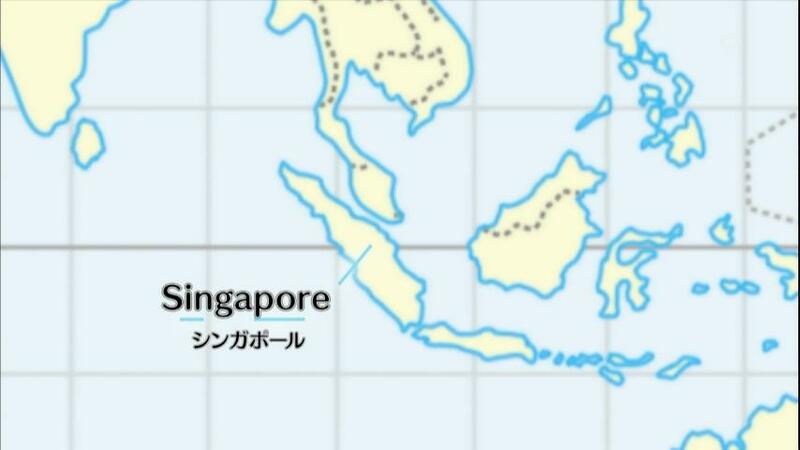 The turn passes to Aichi. He opens with Prairie Wind, Sagramore (6000) riding into Vanquishing Swordsman, Hougang (7000) then calling Whirlwind of the Cliffside, Sagramore (6000) as his support, and the Knight of Fine Skill, Gareth (8000) as a rearguard attacker. Hougang (13000) drive checks Chargegal, Kai damage checks Lightning Stone Jinn. 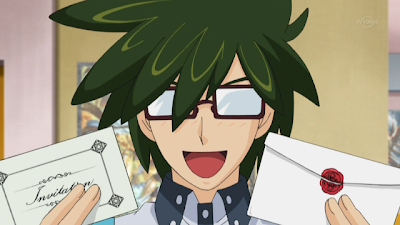 Sagramore's skill activates, and Aichi drops Chargegal to draw one card. Gareth goes unguarded, and Kai damage checks Thunder of Hope, Helena. Kai rides Thunder Storm Dragoon (10000), calling Gale Thunderclap Jinn (8000) and Bright Jet Dragon (8000). Bright Jet gains +3000 power while attacking via his skill. Aichi damage checks Slaygal Sword. Thunder Storm Dragoon (10000) drive checks Lizard Soldier, Riki. 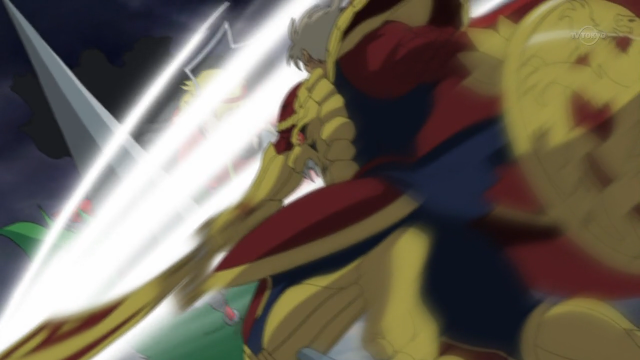 Aichi damage checks Assaulting Chariot Knight. Gale Thunderclap is guarded with Blessing Owl. 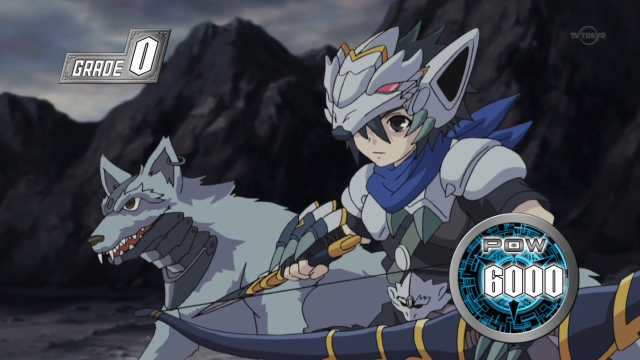 Aichi rides the Knight of Divine Skill, Bohman. Gareth moves to the back rearguard, and Sendou calls Sacred Guardian Beast, Nemea Lion (8000) in front of Gareth. Nemea (16000) is guarded by Wind Marquis Boy, Hayate (S20000). Bohman (16000) goes unguarded, and Kai damage checks Old Dragon Mage (DT +5000 Draw 1), applying the power to Dragoon and drawing one card. Kai rides Dragonic Kaiser Vermillion (11000), calling Lizard Soldier, Riki (7000) to support Vermillion. Bright Jet is guarded by Whirlwind of the Cliffside, Sagramore (S20000). 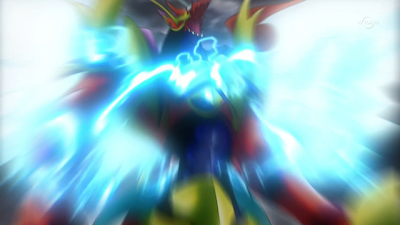 Dragonic Kaiser Vermillion (18000) twin drives into Red River Dragoon and Yellow Gem Carbuncle (CT +5000 +1 Critical), giving the power to his Jinn and the critical to Kaiser. Aichi damage checks Storm of the Battlefield, Sagramore and Fortune Bell (ST +5000 Stand 1), standing Nemea and giving the power to Bohman (15000). Gale Thunderclap Jinn attacks and gains +2000 power through its skill (15000). Aichi damage checks the Vanquishing Knight, Hougang. 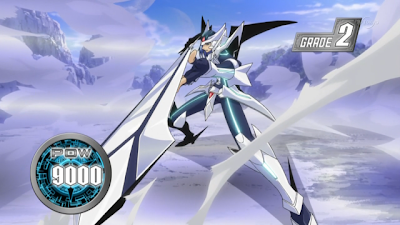 Aichi rides the Storm of the Battlefield, Sagramore (10000), calling Slaygal Sword (9000) to his right with Elixir Sommelier (5000) as its support. Aichi counterblasts 4 for Slaygal Sword's skill, four times over; because he controls at least 4 Gold Paladin units, Sword gains +2000 power four times. Slaygal Sword (22000) attacks, Kai damage checks Thunder Break Dragon. Sagramore (16000) is guarded by Yellow Gem Carbuncle and Wyvern Transport Corps (S26000). He twin drives Knight of Fine Skill, Gareth and Silent Punisher (CT +5000 +1 Critical). Aichi gives all effects to Nemea (15000 +1 Critical). Nemea (21000 +1 Critical) is guarded by Old Dragon Mage and Red River Dragoon, as well as Bright Jet's intercept (S26000). Kai calls Lightning Stone Jinn (7000) to the back and calls Plasma Bite Dragon (10000) in front of it. 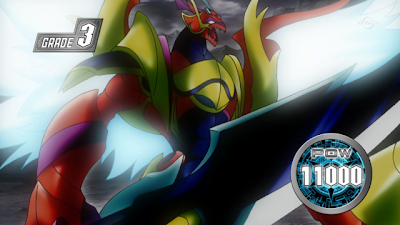 For Kaiser Vermillion, he limit breaks 4, counterblasts 3 for +2000 power. 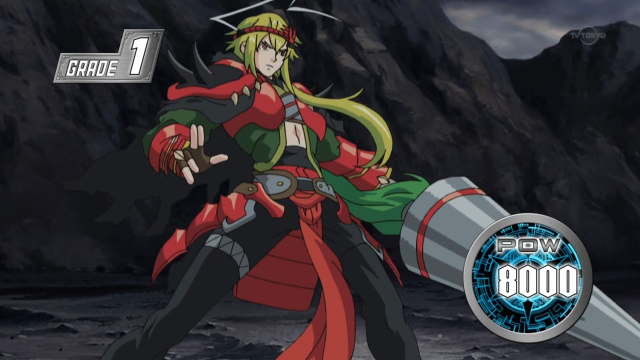 Vermillion attacks all of Aichi's frontline units, twin driving into Shield Blade Dragoon and Thunder Storm Dragoon. Sendou damage checks Sacred Guardian Beast, Nemea Lion. Story Synopsis: The day begins with Emi waking Aichi up as normal, albeit in her new outfit. 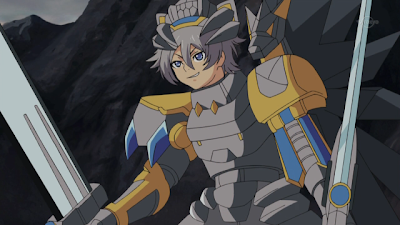 Appearing drained and unenthusiastic, Aichi mulls over his new Gold Paladin deck, Garmall in particular. Disappointed that his deck is really gone, Sendou skips breakfast and walks to Card Capital--but, pausing at the door, heads for the park (the same one seen in rides 2 and 33) instead. Like in previous episodes, Kai finds him here, but when shown Sendou's new deck, he merely asks what's wrong with it. Like the rest of the cast, Kai has no memory of Aichi ever using a different clan. 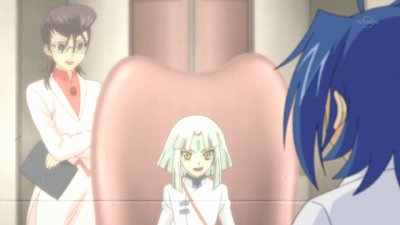 Looking at Kai's deck, Aichi is shocked to find that it's not his friend's Kagerou deck, but a Narukami deck. Aichi asks if Kai remembers using a different clan--but Kai denies this, stating that this has always been his deck. 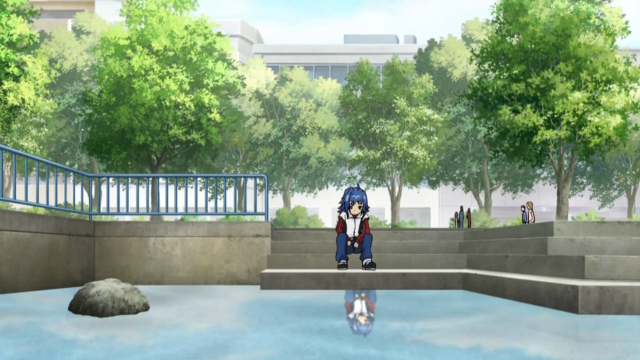 Still, he appears to feel ambiguous about what he's remembering, and the two go to a nearby stage to cardfight. In their battle Kai's old memories briefly resurface. When Aichi rides the Knight of Divine Skill, Bohman, he anticipates Blaster Blade instead of Bohman, and recalls the unit's visual appearance as Aichi's avatar. However, this does not last, and Kai ultimately cannot recall the Royal Paladins. Insisting that Sendou needs to consider his own limits, Kai calls final turn on the boy and brings out Dragonic Kaiser Vermillion's limit break to finish their fight. As it draws to a close, the screen at their backs lights up, and none other than Tatsunagi Takuto appears to advertise the upcoming Vanguard Fight Circuit in Singapore. Aichi pleads with Toshiki to remember, but Kai walks away from him, unable to remember the past Sendou is recalling, and saying that Sendou should find his own path to Takuto as Kai is finding his. Ride 67 ends with Aichi at Card Capital, learning that Team Q4 has received a formal invitation to the VF Circuit.